Every bride-to-be’s mind has a little piece of a fairy tale in it, and cake designer Jerri Montillo has always shared a piece of that world. 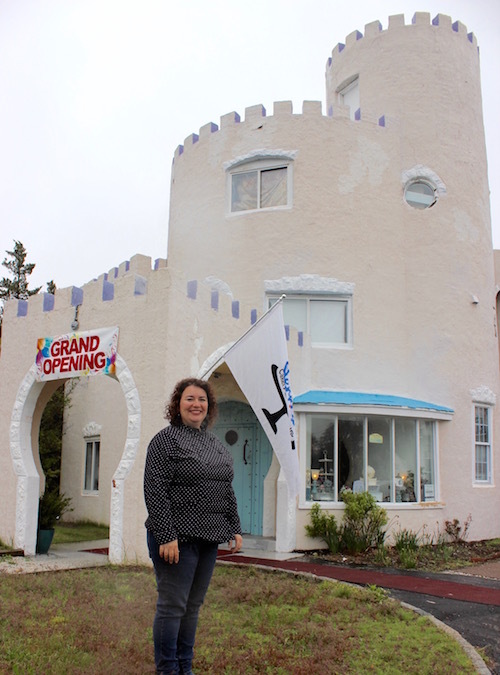 This spring, Jerri ventured further into the world of whimsy when she set up shop in her new “Jerri’s Cakery & Confections” in the iconic Spanish-style castle next to Casa Basso restaurant on Montauk Highway in Westhampton, where she whips up a world unto itself out of buttercream and batter. A die-hard Monty Python fan with a soft spot for cartoons and fantasy, Jerri has tucked a candy shop, a cake consulting area, a cake making workshop space and a small commercial kitchen into the nooks and crannies of the concrete castle, built 100 years ago by sculptor Theophilus Brouwer, who used it as his pottery studio. “It’s gorgeous. It certainly helps with foot traffic,” said Jerri, who has lived in the area her whole life. Jerri has worked all over the East End as a wedding cake designer, including an in-house stint for weddings at at East Hampton Point. Mostly self-taught, she took some classes at Suffolk County Community College’s Culinary Institute, where she learned some short cuts. Lately, she’s decided it’s time to do things her way. After years of renting commercial kitchen space and bringing her equipment from one venue to another, she decided this spring that enough was enough. It was time to go big. With advice from the Stony Brook Small Business Development Center and mentors from SCORE, she set off on a daunting path. Jerri puts together a full-blown tasting for prospective wedding cake clients who visit her in The Castle, geared toward hints they give her about their tastes, throwing in a few avant-garde ideas, like blue velvet cake instead of red. Once they decide on a flavor palate, they get down to the architecture of the cakes. 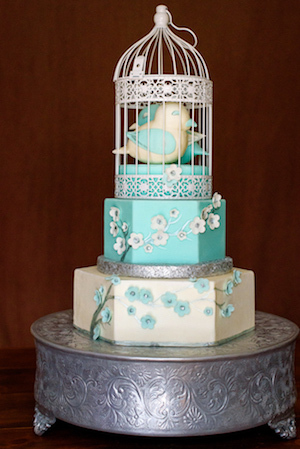 While some of her clients have something elegant and traditional in mind, she’s been asked to make wedding cakes with themes ranging from The Walking Dead to Game of Thrones to dueling football teams to a tongue-in-cheek reference to spouses as balls-and-chains. As we talked on a recent rainy Wednesday, a mother whose daughter was about to graduate from Westhampton Beach High School came in to order two cakes for two separate parties, designed in the style of the University of North Carolina’s Tar Heels athletic teams, where her daughter will be attending college in the fall. Jerri didn’t skip a beat, getting deep into a conversation about the origins of such a strange team name. That community spirit extends to a series of cake classes, called “Frostbites,” that Jerri offers on Thursday evenings. They’re a bit like paint and sip wine and painting classes, she says, only when you’re done with your cake art exercise for the evening, you get to eat it. Jerri says most of her wedding clients are in a good mood by the time they get to her door: the venue has been picked out, the wedding party’s clothes have been measured and ordered, and they’re ready to step back in time, sit down in the consulting room of the castle, and think about what they’re going to love the most about their wedding. Jerri’s Cakery & Confections is at 59 Montauk Highway in Westhampton, and can be reached at 631.223.8986.